One of the most popular tourist destinations in Japan, Nara. 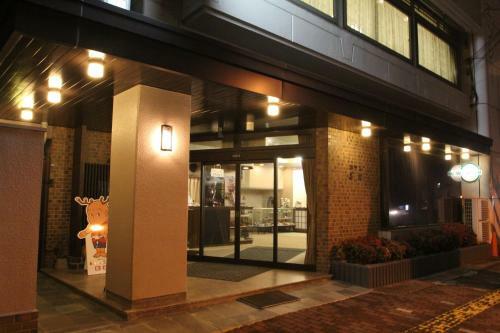 In Nara there are guesthouses which are really cheap inns that are popping up everywhere. 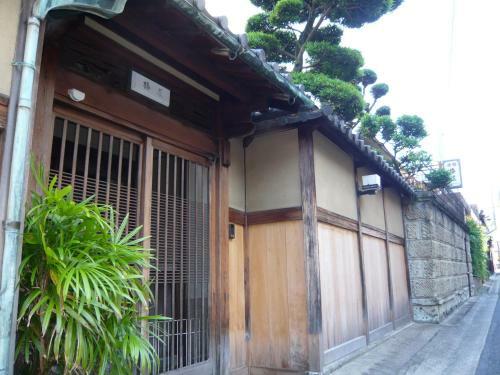 Among them is a guest house in Nara City which can be considered the “original” guest house, “Nara Ugaya Guest House”. Here they serve a Nara favorite for breakfast Chagayu (Tea rice porridge) and the stay for a night only costs a meager 2900 JPY per person! It’s not just cheap, aside from the Chagayu, they provide comfy sleeping dorm beds, and lots of reading material in the lobby. To be clear a guest house is different from a hotel. At Nara Ugaya Guest House the differences are:  The rooms are shared dorms. One room sleeps 4 people on 2 bunk beds. *There are private rooms but cost more.  The washing area and bathroom are also shared. There is only a shower. If you want to take a long bath head to the local public bath.  Normally there is no dinner or breakfast. For 400 JPY you can have some Chagayu for breakfast.  The common area is where the guests will gather so you can meet fellow travelers. For those who have stayed at a guesthouse it is easy to imagine what it’s like, but for those who haven’t I will break it down. A library of books on Nara temples and Buddhist info! A relaxing common area! Upon checking in the staff will explain all the details of the guest house so first timers can rest easy. They also explain how to use the shower and the fridge here. After listening to the instructions they will ask whether you want Chagayu in the morning or not. 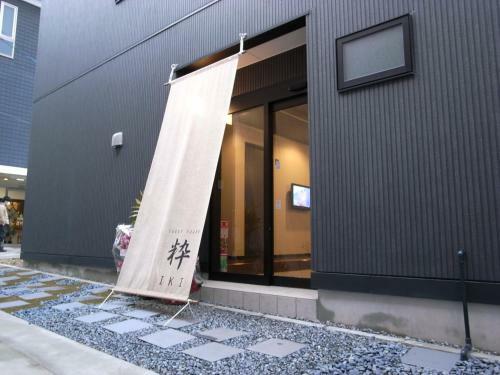 Chagayu is 400 JPY added to the fee so if you are staying in the dormitory room at 2500 JPY the total is only 2900 JPY. When you first enter this is the lobby area you’ll see. It is the common area, with a fridge, free water, and a PC to use as you please. On the shelves are books on the temples and Buddhist statues and artwork in Nara, even die-hard fans will love this lineup. There are also books on local sights as well so you can research what to do the next day if you need to. *Books aren’t allowed out of the common area. Eating is prohibited in the guest rooms so dining is done here. Here you can meet all the other guests and strike a conversation if you want, or ask the staff for tips on where to go, or if you want there are many desks where you can delve into your own world. Next up is the room. At Nara Ugaya Guest House there are private rooms and dormitories. The dormitory can be coed or ladies only, so if you are a lone female traveler you can feel safe here. There are 2 bunk beds in the dormitory rooms, and each bed becomes your personal space. At Nara Ugaya Guest House the beds have curtains on them so you can maintain some privacy if need be. The futons are fluffy and the white sheets are crisp and clean. The pillows are also nice and fluffy as well for a good nights rest. There is a socket for you to plug in your phone charger at the desk. There are also hangers in the room for your clothes so it’s best to use them. If there are other guests you may have to limit how many you can use though. If you want to know what Nara Ugaya Guest House has that no other does, it’s the owner who can play the Biwa expertly! If you are lucky you can hear him play at night when the mood strikes! Seto-san the owner used to be in a band and says he learned how to play the Biwa after starting the guesthouse. This is a rare thing so don’t miss it. By the way Seto-san isn’t originally from Nara but was drawn to its beauty and that is why he started this guesthouse. He also knows all the sights that are worth seeing in Nara. He is definitely the guy to talk to when planning the sightseeing route for the next day. At Nara Ugaya Guest House they can’t cook in the kitchen so for those that want to eat something in the morning have to head to a convenience store or a restaurant but I suggest having the Chagayu tea porridge. Chagayu in Nara has been a tradition amongst Buddhist monks since the Kamakura Period, and until the beginning of the Showa Period was a household staple. Now it isn’t eaten so much but is still seen and prepared as a traditional Japanese food culture dish. It isn’t sticky or slimy as normal rice porridge. The sweet potato and pickles accent it nicely, to make you hungry in the morning. 1 night isn't enough to really experience all Nara has to offer! Nara Prefecture has many world renown heritage sites and there aren’t many places to stay or things to do outside of sightseeing, so it’s said that many visit but many don’t stay the night. I urge you to stay a couple of nights and really get to know all that makes Nara attractive.